Thank you for ordering the Content Leverage Basic Package. This page begins the intake process which includes the form below. 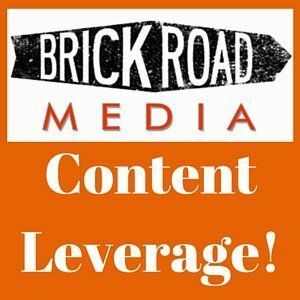 Your intake phone conference with Brick Road's Content Leverage team will be scheduled soon. Please include everything you can about your business, your social profiles and pages, images, and other info requested. If you cannot find certain things, we can gather additional information and files on our intake call. Thanks again and we'll be talking soon! -Jack Humphrey, CEO, Brick Road Media, LLC.